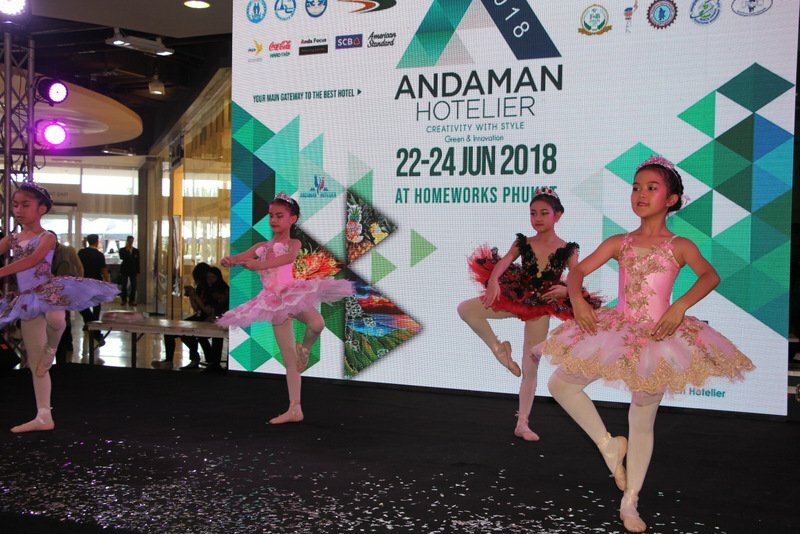 PHUKET: This year’s edition of the Andaman Hotelier and Tourism Fair 2018 kicked off yesterday (June 22) at Central Festival Phuket East. 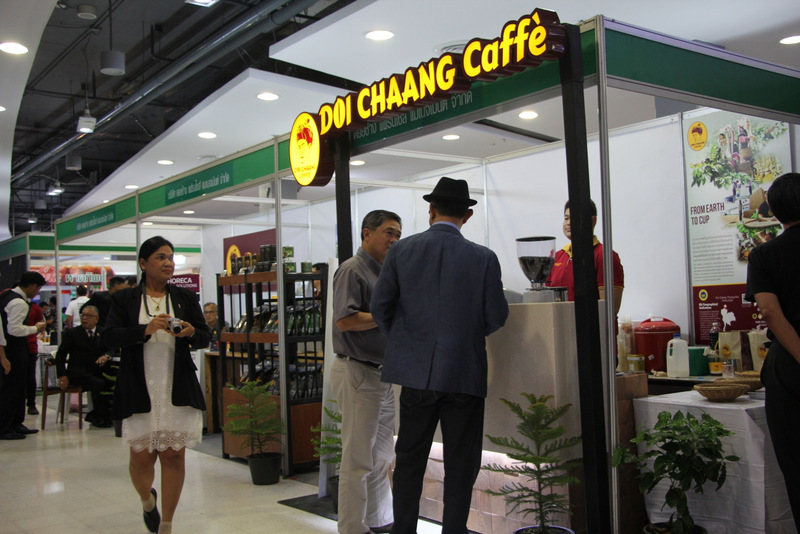 The annual show will be open 10am to 8pm, and conclude on Sunday (June 24). 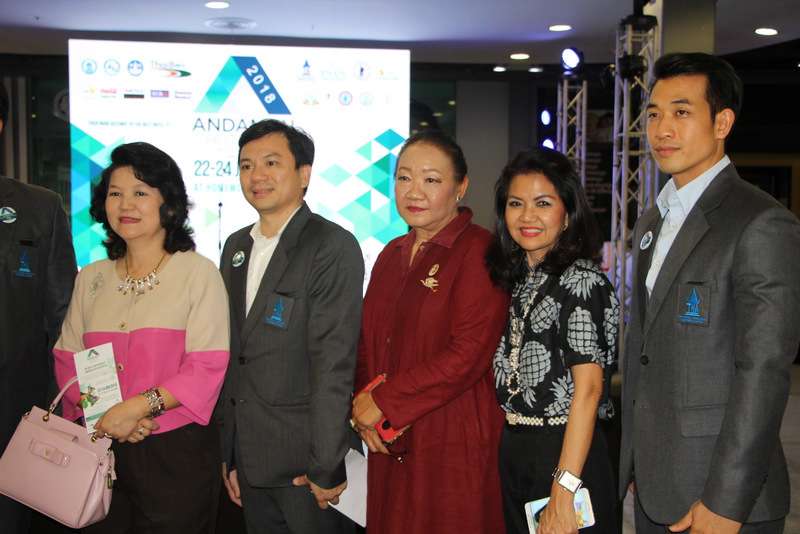 In a recent show of support for Phuket’s homegrown hospitality trade expo, a recent media launch for the event was led by Phuket Governor Norraphat Plodthong joined by Tourism Authority of Thailand (TAT) Phuket Office Director Kanokkittika Kritwutikon and Phuket Provincial Office of Tourism and Sports Director Sirawee Waloh as well as leading business figures Kongsak Khoopongsakorn and Poomsak Tortika. 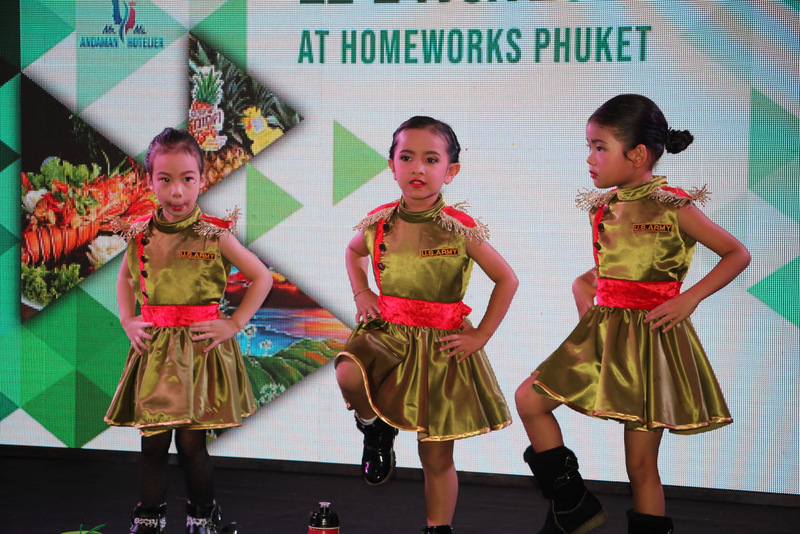 The event, which has long been attended and supported by many businesses and organisations engaged in the local hotel and tourism industry, aims to support and improve the skills of staff at all levels in Phuket’s hospitality and tourism sectors to international standard. 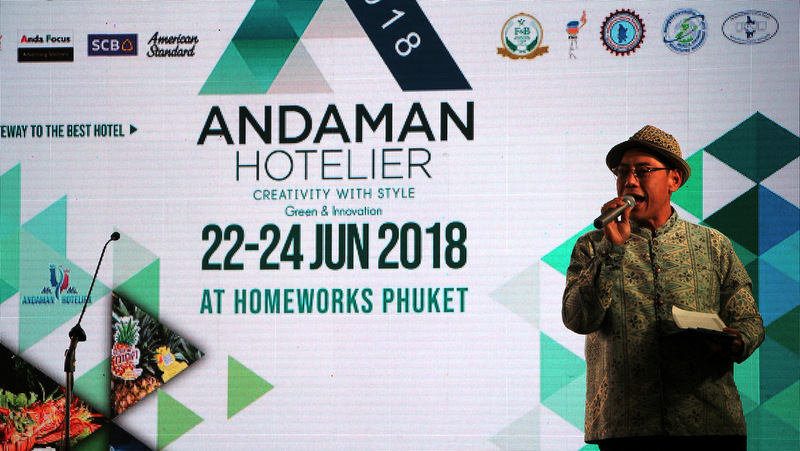 The three-day event will feature various skill competitions under the concept “Green and Innovation”, including creating flower arrangements from recycled items, arranging floating flowers in spa settings in a “saving the world” style, as well as the now-traditional contests for setting up of spa beds, fruit and vegetable carving, cooking with local ingredients and the popular contest for the best bartender. 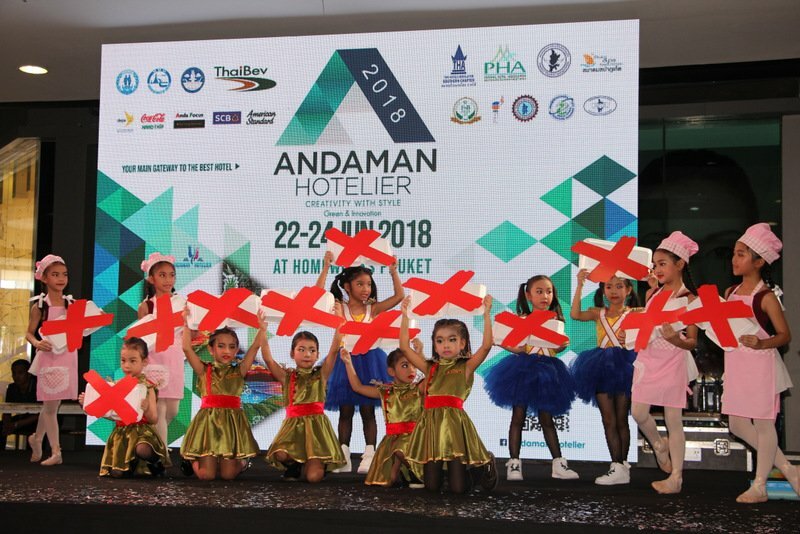 Further, this year there will be a Miss and Mr Andaman Hotelier 2018 pageant with B100,000 first prize up for grabs. 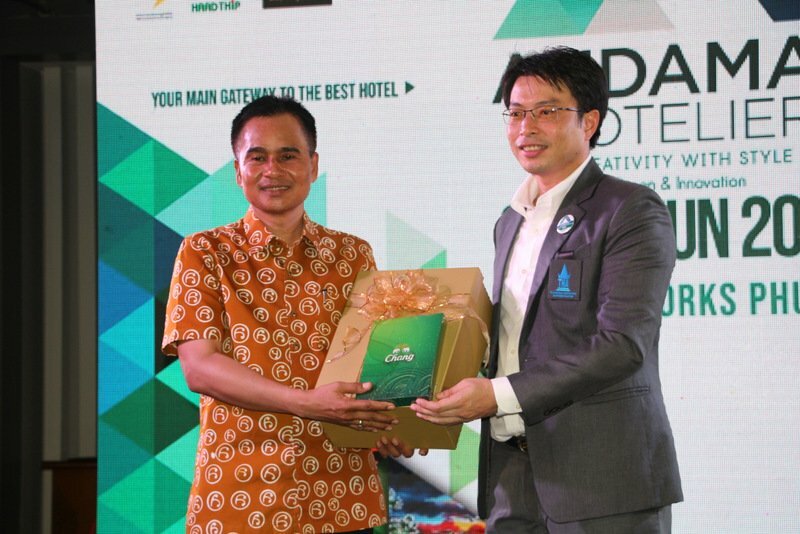 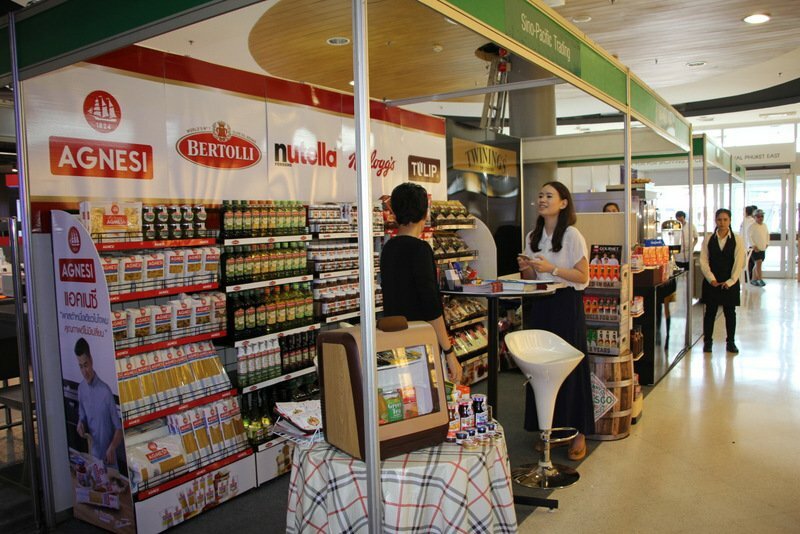 The event will also feature its regular main expo of booths focused on hotel and tourism products and services, including food and beverage, spa and maid services, as well as kitchen, engineering and other industry-relevant products.